The Grove aims to provide a great customer experience for all age groups and a welcome that really makes everyone return time after time. 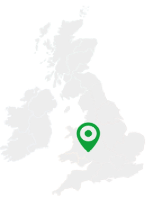 We have created a range of top class facilitiies over the last 25 years which have been carefully sculpted into the beautiful Herefordshire countryside. Our expansion has always taken place with protection and enhancement of our environment a priority. With tree planting , pond building and habitat construction. Our green credentials are reinforced by our eco friendly buildings , waste water recycling and solar panels. With our century old farming roots we are keen to use our produce from the home farm and other wonderful local produce in the restaurant. With our tasty home made dishes and local drink we offer a refreshing change.